The 3 Arts Club Cafe offers a curated menu inspired by Northern California and Mediterranean cuisine featuring seasonal, ingredient-driven dishes. Guests may choose to dine in the Grand Courtyard, a light-filled, all-season oasis featuring a restored historic fountain and Heritage olive trees, or anywhere else in the gallery. The impressive and stunning photo-worthy cafe lives up to the experiential hype that has taken over social media… and the hospitable service and quality of food lives up to the same reputation. With the ambiance of an outdoor garden or greenhouse, you can enjoy food and drink to match the atmosphere. 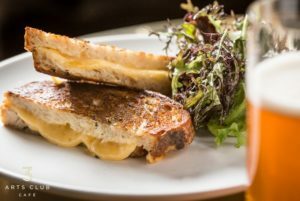 Known for their Truffled Grilled Cheese, RH Scramble, coffee bar drinks and cold pressed juices, the RH Burger has made a name for itself as a stand-out. No trip here is complete without a fresh-baked Salted Chocolate Chip Cookie. 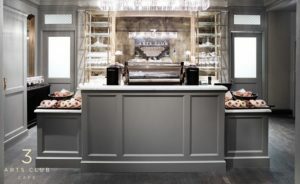 An elegant coffee house on the main level, the Pantry serves a proprietary 3 Arts Club Café coffee blend, as well as a selection of fine teas, cold-press juices, sodas and beers. Freshly baked pastries, including doughnuts from Doughnut Vault, are also offered. 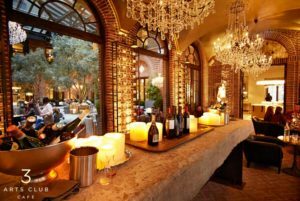 Located in the dramatic loggia, the Wine Vault features iridescent gold vaulted ceilings and original herringbone brick floors. Guests can relax in leather club chairs while enjoying premium wines from around the world by the glass or bottle, as well as the signature RH Bellini. 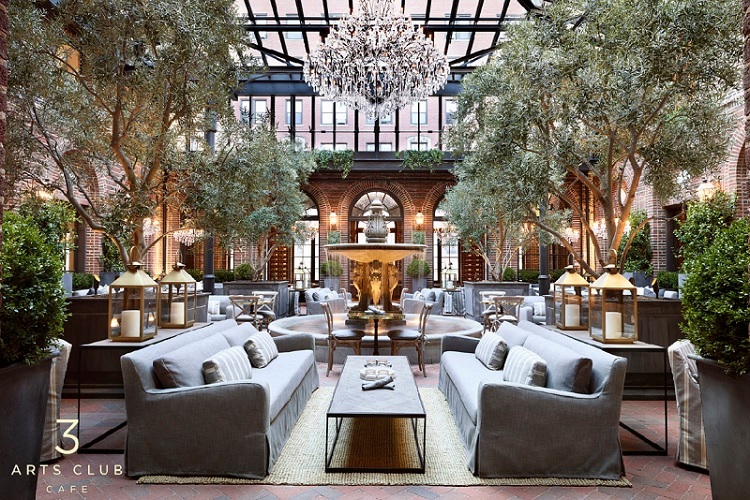 The 3 Arts Club Cafe at Restoration Hardware blurs the lines between residential and retail, home and hospitality, indoor and outdoor. It integrates the decorative arts, culinary arts and contemporary arts. An inspired, one-of-a-kind culinary collaboration between Gary Friedman and Brendan Sodikoff features the unforgettable 3 Arts Club Cage, Pantry and Wine Vault.